Description The vehicle is a manufacturer certified pre-owned vehicle. Reduce your trips to the pump! It is one of the most fuel efficient vehicles in its class. This Toyota RAV4 handles exceptionally well in the snow and ice. The performance tuned suspension of this small suv handles great on all turns. This unit is fun to drive! This 2018 Toyota RAV4 is a great vehicle for families. The vehicle has a 2.5 liter 4 Cylinder Engine high output engine. This vehicle is a certified CARFAX 1-owner. This small suv has a clean CARFAX vehicle history report. This unit has four wheel drive capabilities. This 2018 Toyota RAV4 is equipped with a gasoline engine. 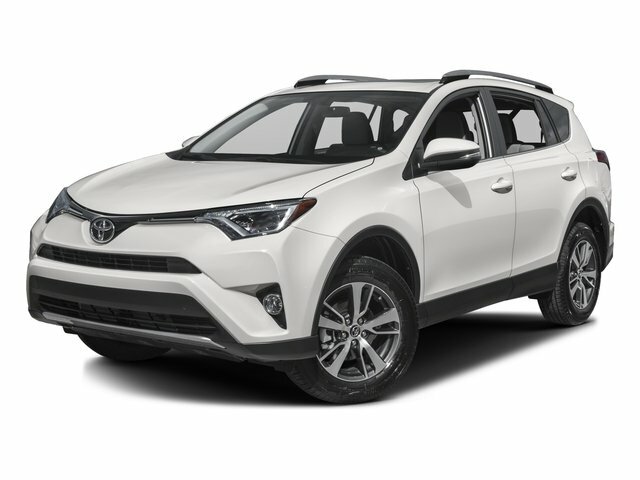 This 2018 Toyota RAV4 shines with clean polished lines coated with an elegant white finish. Anti-lock brakes will help you stop in an emergency. Icebox AC keeps this unit cool all summer long. This model is accented with premium quality alloy wheels. Bring all your music with you along for the ride in this small suv with its mp3 player aux input jack. Protect this 2018 Toyota RAV4 from unwanted accidents with a cutting edge backup camera system. Easily set your speed in it with a state of the art cruise control system. Increase or decrease velocity with the touch of a button. It features a hands-free Bluetooth phone system. The installed navigation system will keep you on the right path. This 2018 Toyota RAV4 is accented with a stylish rear spoiler. The satellite radio system in this vehicle gives you access to hundreds of nation-wide radio stations with a clear digital signal. It has an adjustable telescoping wheel that allows you to achieve a perfect fit for your driving comfort. Keep yourself cool in the summer with the premium quality tinted windows. This 2018 Toyota RAV4 is equipped with a heavy duty towing package. This 2018 Toyota RAV4 is equipped with the latest generation of XM/Sirius Radio.